Amazon.com Reviewer Grade: B, Very Good; of the first 29 reviews, the average reader rating was 83.45%. Stella is a shy, fifteen year old girl who is having trouble adjusting to her new school–following the divorce of her parents and the relocation of her, her mother, and her sister to a new town. She feels out of place, even as her only friend tries to pull her into the popular crowd. The only thing she has going for her, she believes, is her voice. When she sings, she doesn’t feel invisible. And, when her voice lands her the lead in the high school musical, she feels like she actually has a shot at being normal. Hayden is an awkward and quiet boy with a speech impediment who is new to the same school as Stella. While he tries to keep his distance, he can’t help but be drawn to Stella–there’s just something about her that makes him want to reach out. But he is emotionally scarred by an abusive past and prefers to keep everyone at an arm’s length. Besides, he is embarrassed by his slow speech and prefers to stay quiet. How could he start a relationship with Stella if he can’t even speak to her? When Stella is accidentally knocked unconscious and falls into a swimming pool at a party, fate intervenes and Hayden is there to save her from drowning. But when she wakes up, she has lost her hearing–and the only dream she ever cared about. Temporarily deaf, she loses her spot in the musical and falls into a depression. While waiting for an operation that can restore her hearing, Hayden begins to show her all that she can do without it. As the two spend more and more time together, they begin to fall in love. But, can Hayden really give his heart away when his past has already broken it? Is he good enough for Stella? And, is Stella willing to abandon her former dream when she discovers things about herself she never realized until Hayden showed up? If you enjoy young adult love stories, like John Green’s The Fault in Our Stars, you will love this book. The alternating first person narration between Stella and Hayden gives insight into how each character feels about the blossoming relationship. The tone, despite the characters’ damaged childhoods, is light and laced with hope. With an uplifting conclusion, this tale is a love story–not a tragedy. The chapters are short and language easily digestible. There are also many references to various arts–music, poetry, painting, etc. So, if you’re nostalgic about the role that the arts played in your high school years, you may also enjoy this story for that reason. 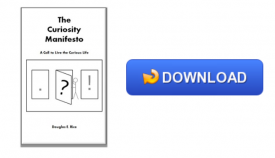 Click here for a free download of my manifesto about the importance of learning.